SolidRun Unveils Game-Changing i.MX8 Family: SOM, SBC, and new CuBox Pulse mini PC. Home News & Updates SolidRun Unveils Game-Changing i.MX8 Family: SOM, SBC, and new CuBox Pulse mini PC. After the announcement of the i.MX 8M line of processors from NXP and their collaboration with some companies, we started seeing announcements or devices that use the chip in recent times and some of the devices or boards are beginning to be available for purchase. 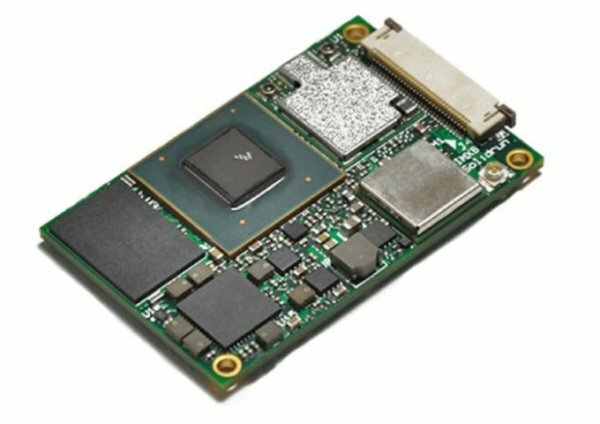 InnoComm, Emcraft, and Boundary devices have all launched their i.MX 8M processor-based boards, with some even adding a carrier board along with it. SolidRun, one of the announced partners with NXP back in 2017 is not left behind by releasing its own set of i.MX 8M processor-based boards. Following their successful i.MX6 based family; SolidRun has announced a brand new family of i.MX8M based platforms, including the i.MX8 SOM, HummingBoard Pulse single board computer, and CuBox Pulse fanless mini PC. SolidRun is introducing this new family following NXP’s inclusion of the company as part of a handful of early adopting partners. The new i.MX8 line of processors are 64-bit, ARM-based chips with support for 4K and they’re expected to come in a few different configurations. The new family will feature up to four 1.5 GHz ARM® Cortex® A53 cores with a Cortex M4 general purpose processor, high-speed connectivity interfaces and flexible memory options, offering 4K UltraHD resolution and HDR video quality, the highest levels of pro audio fidelity and up to 20 audio channels. They all have Cortex-A53 cores clocked from 1.3GHz to 1.5GHz, as well as the i.MX8M‘s built-in Cortex-M4 MCU and Vivante GC7000 Lite GPU. All configurations are capable of generating [email protected] video with HDR. Read more: SolidRun Unveils Game-Changing i.MX8 Family: SOM, SBC, and new CuBox Pulse mini PC.